I love trying out different hair products, I mean that is the only way to see which works for me. One thing about my hair is that it get frizzy in humid weather. As soon as I step out the door in this kind of weather, my hair frizzes in a matter of seconds. The Organic Root Stimulator Olive Oil Anti-Frizz Glossing Polisher and Nourishing Sheen Spray works well. Everytime I do my hair I will use this after. I am so suprised it works, because normally anti-frizz products do not work well with me. I LOVE IT! 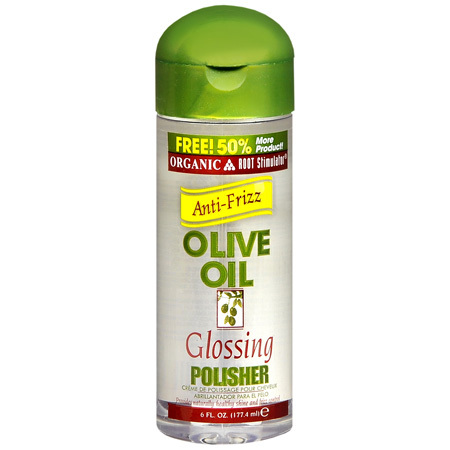 This Anti-Frizz polisher is amazing, it provides shine to your hair and it keeps your hair from getting frizzy. It's formulated to withstand humidity while leaving a healthy shine to your hair. This formula is a blend of silicones and natural oils including the essence of Olive, Abyssinian, and Coconut oil. This infuses the hair with shine and moisture. 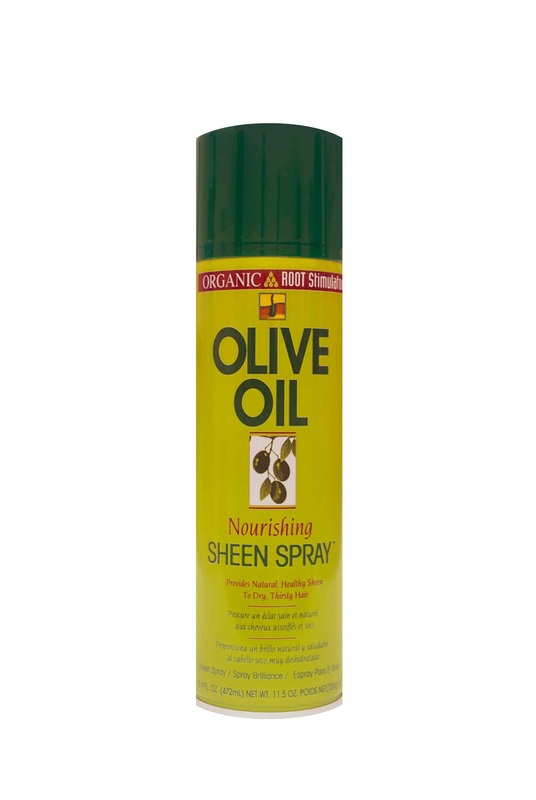 If I am not using the polisher, I will use this nourishing sheen spray. Sometimes I use both. This spray provides natural, healthy, sheen to dry thirsty hair. The sheen spray is a non-greasy sheen enhancer created to restore hair's natural moisture. Has vitamin e, olive oil, and herbal extracts provides new life to all hair textures. This products is free of fluorocarbons and drying alcohols. I love Olive Oil! I use the sheen spray all the time...I have not tried the anti frizz polisher, but I think I should! Now following! Looking forward to keeping up and getting to know you!